Make no mistake about it - windows are one of the biggest sources of home energy loss. A large majority of your home's energy shortcomings occur through convection, outside air infiltration, conduction and radiation through your windows and doors. Energy and heat value has become a major selling point during the recent boom in renovation resale, and replacement windows should be added to any list of planned property improvements. Old windows and doors don't just make your house look bad, they waste energy and money. Just one draft window can be like having a hole in your wall the size of a brick. With a house full of windows, it's easy to imagine how much harder your furnace or air conditioner has to work to maintain a comfortable temperature. In all seasons, air moves in and out of your home through tiny cracks and crevices around your windows and doors. (A 1/16" gap around a window amounts to a hole the size of a brick). The average home has 12-14 windows. Now, imagine a hole in the center of your home, approximately 14" X 14". Even with newer houses, the windows and doors that can come standard are "builder's" models, designed to be inexpensive and easy to install. These models are not engineered to be energy-efficient, nor are they ever made from high quality materials. 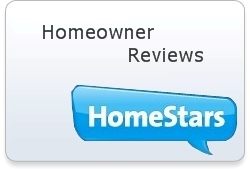 That makes window replacement one of the best ways to improve your home's energy efficiency, with the potential to save you thousands of dollars over the years and increase resale values. 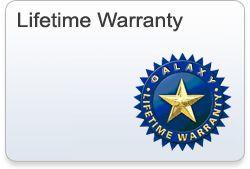 With rising energy costs, high performance windows from Galaxy Windows actually pay for themselves. 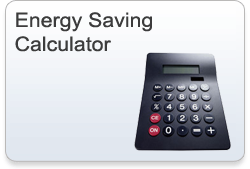 Choose your average monthly energy costs from the drop-down menu and click the "Calculate Savings" button. Your 35% Estimated Energy Savings over 10 years will appear to the far right. Note: Calculation includes inflation rate. 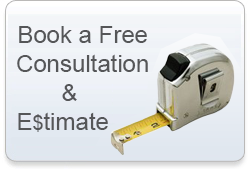 Should you be in the market for window or door products in the near future, please give us a call or e-mail us, and we will be glad to discuss the options with you.